MSI has this week announced the availability of its latest motherboard the X370 GAMING M7 ACK which has been designed to support AMD Ryzen Series processors and 7th Gen A-series / Athlon processors for socket AM4. 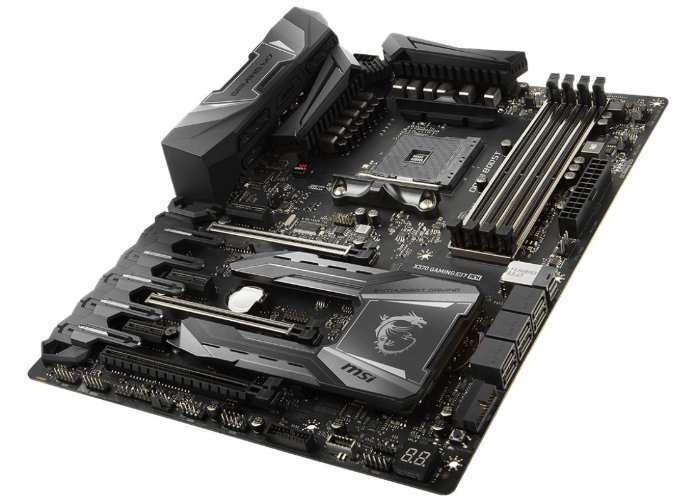 The MSI X370 GAMING M7 ACK motherboard is also equipped with support for DDR4-3200+(OC) Memory and a M.2 SHIELD FROZR offering a strengthened built-in M.2 thermal solution. To satisfy even the most demanding gamers who are looking for the best performance and style, the new AM4 Enthusiast GAMING flagship, X370 GAMING M7 ACK, is in stores now and ready to cater to any type of gamer, PC enthusiast, or case modder. The X370 GAMING M7 ACK is also world’s first AM4 motherboard to feature Killer DoubleShot PRO, combining Killer Ethernet with Killer WIFI AC.